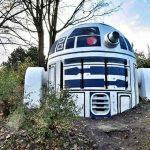 Remember the one time someone turned a Cold War era nuclear shelter vent into a giant R2-D2? Well, it happened again, but this time, the upsized iconic astromech from everyone’s (or most people’s) favorite sci-fi franchise was found in Germany and it was most certainly legal, unlike the aforementioned. 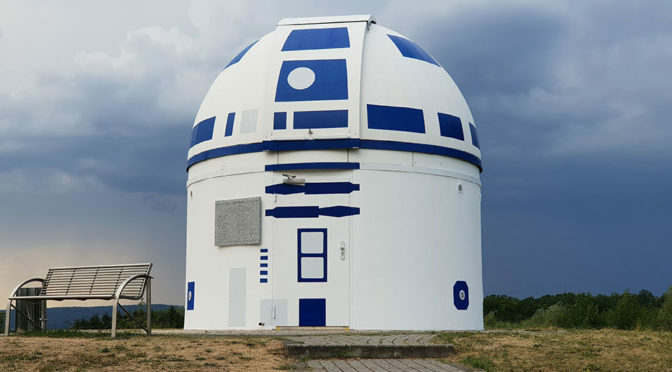 What you see before you is the Zweibrücken Observatory of the Natural Science Association – transformed to look like R2 with clever paint works. The shape of the observatory turns out to be a perfect match for R2. It was so perfect that one could mistaken that the building was intentionally built based on the famous on-screen droid. Obviously, it was not. 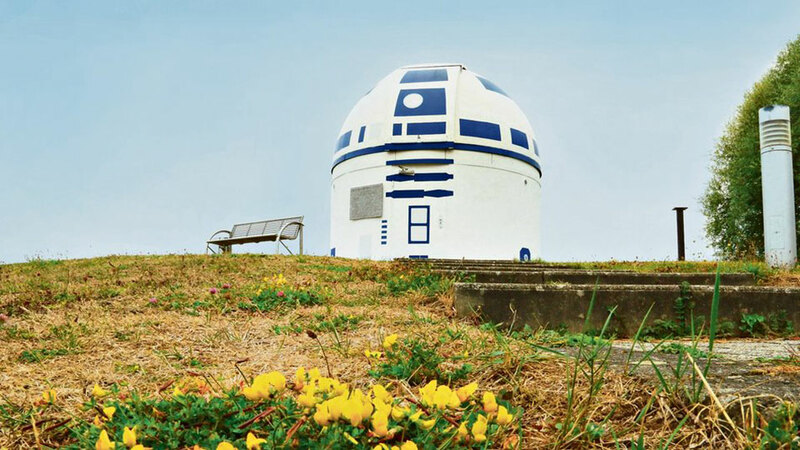 The observatory-turned-R2-D2 was the handiwork of professor Hubert Zitt, an academic at the Zweibrücken University of Applied Science known for his lectures referencing to science fiction works like Star Wars and Star Trek. 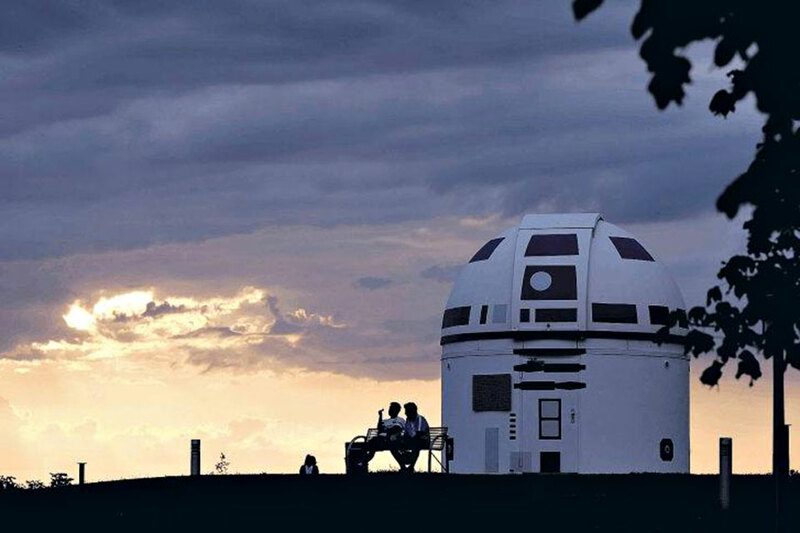 Clearly, prof here must have been pondering the uncanny resemblance between the observatory and R2-D2, shape-wise. Also quite obviously, prof is is quite a Star Wars buff. Anyways, to make the giant R2-D2 a reality, prof had enlisted help from his father-in-law Horst Helle, master painter Klaus Ruffing and several students. Horst might just be the best father-in-law ever. 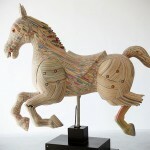 The result was, as you can see, of an epic proportion. Damn. 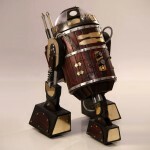 I still can’t get over how perfectly shaped this architecture was as a R2-D2. C-3PO must be disappointed that his clunky form has no worldly thing that looked like him, or even remotely resemble him.